The reasons why students choose to complete high school online vary depending on student’s specific situation. Some students are training for competitive sports or are professional performers. Some are actors with their own TV shows, or professional singers, dancers or artists. Some students are athletes with endorsements from with large corporations such as Nike. Some students live outside of the USA because their parents are in the military, missionaries or work for multinational corporations. Many students just need a flexible option that is not provided by a traditional school. For whatever reason a traditional high school is not working for you, consider Northgate Academy. If your child needs to attend an online high school, you want to be sure that they have the same support services that are available in a traditional high school. You may ask yourself how online counseling differs from the face to face counseling. For the most part, online counseling works the same as traditional counseling. Our dedicated counselors are here to help support your child’s needs concerning life problems, course selection, and college and career planning. Counseling sessions are done by phone, email or Skype. We welcome our local students and parents to make a personal visit with our counseling staff. Online students have the same counseling needs as traditional students: guidance curriculum, course planning, etc. 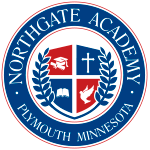 The guidance counselors at Northgate Academy are caring and nurturing professionals that are specifically trained in working from a distance. We have the expertise to work with students from around the world and accommodate specific education, cultural and religious needs. In addition to offering assistance with course and academic planning, we also are here to be an encourager. In a nutshell, online students have the same needs as traditional high school students. We take a personal approach to counseling and support students in their high school career. Have questions about attending high school online? For more information about how you can earn an online high school diploma in as little as a few short months, please enter your email below. Earn a high school diploma online from a Christian based school. © Copyright 2019 Northgate Academy.